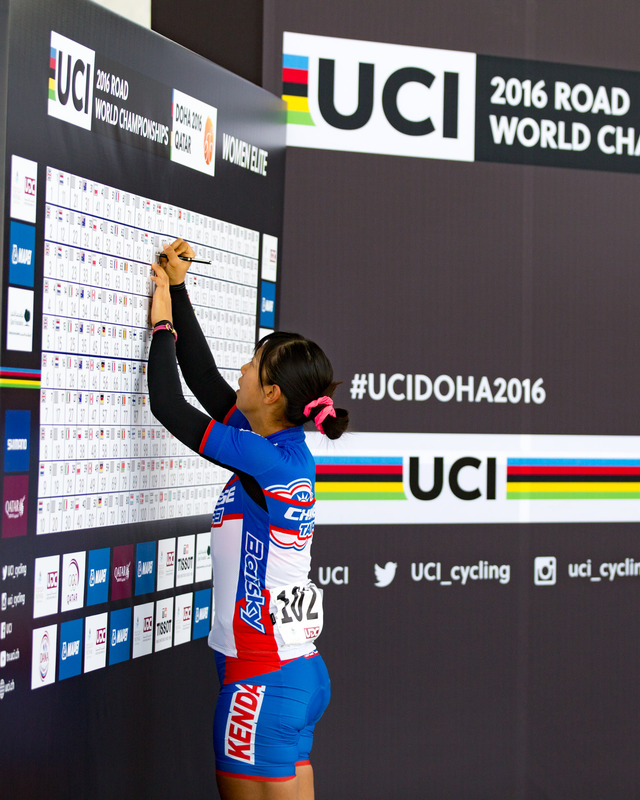 DOHA, QATAR (October 16, 2016) – After a week of racing, the 2016 world road cycling champions have been crowned. 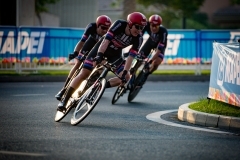 Below are some photo highlights from the elite women and men’s team time trials, the elite men’s individual time trial, the elite women’s road race, and the elite men’s road race. 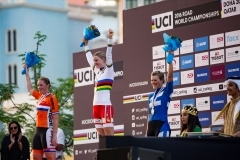 In the opening day of racing on Sunday, October 9, Dutch-based team Boels Dolmans dominated the elite women’s team time trial with a winning time of 48 minutes 41 seconds over the 40km course. 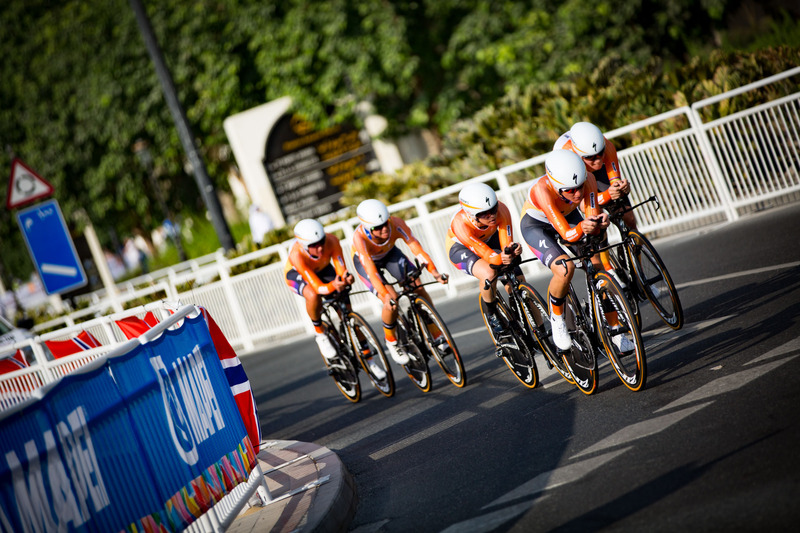 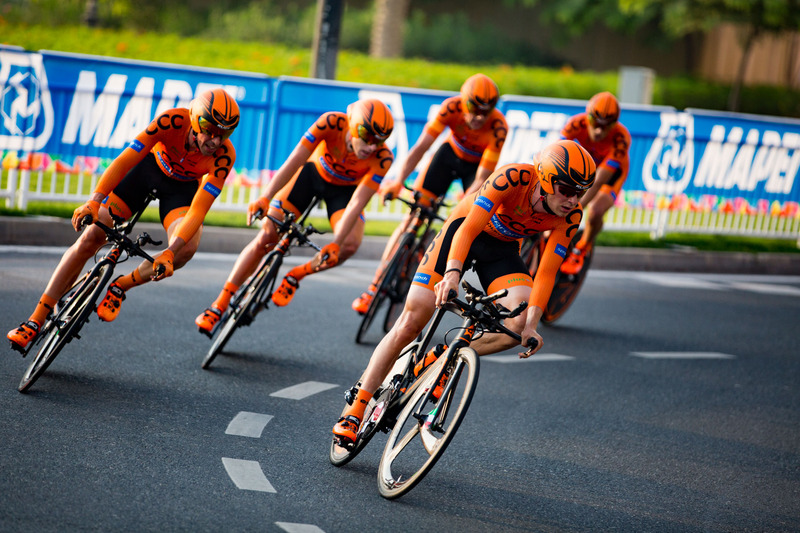 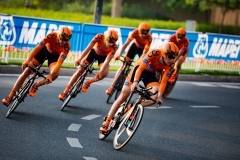 Led by retiring American rider Evelyn Stevens, British rider and reigning world road champion Elizabeth Deignan, and Dutch rider Ellen van Dijk, the team overcame a temporary deficit at the first time check to win their first TTT world championship. 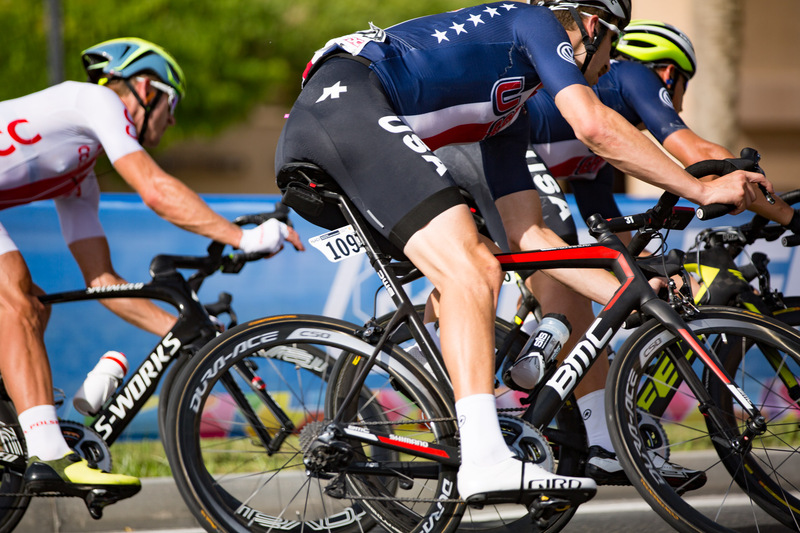 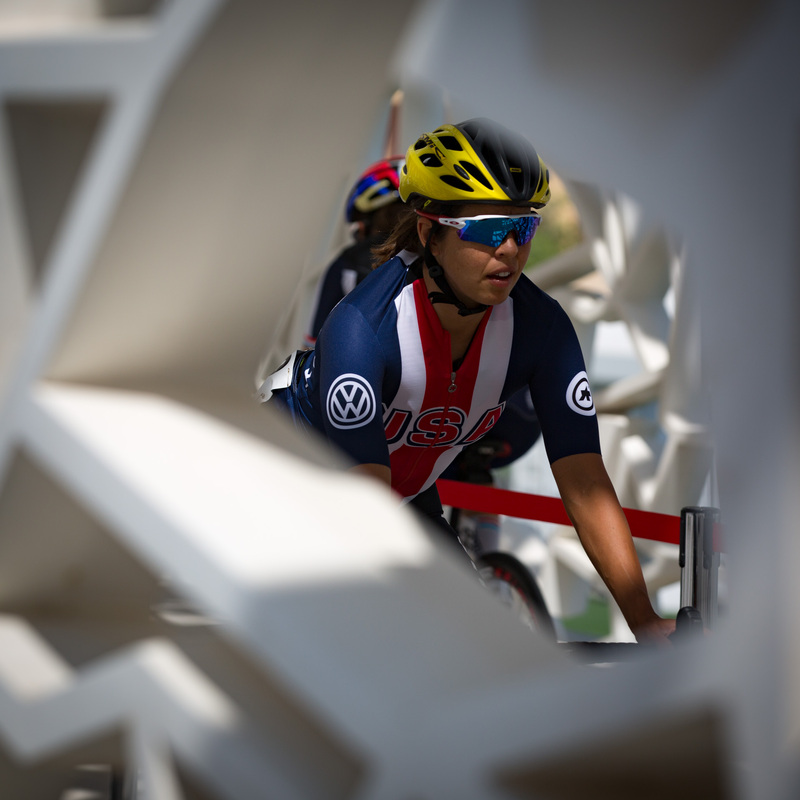 US-based team Canyon-SRAM paid for their hard early effort in the desert heat. 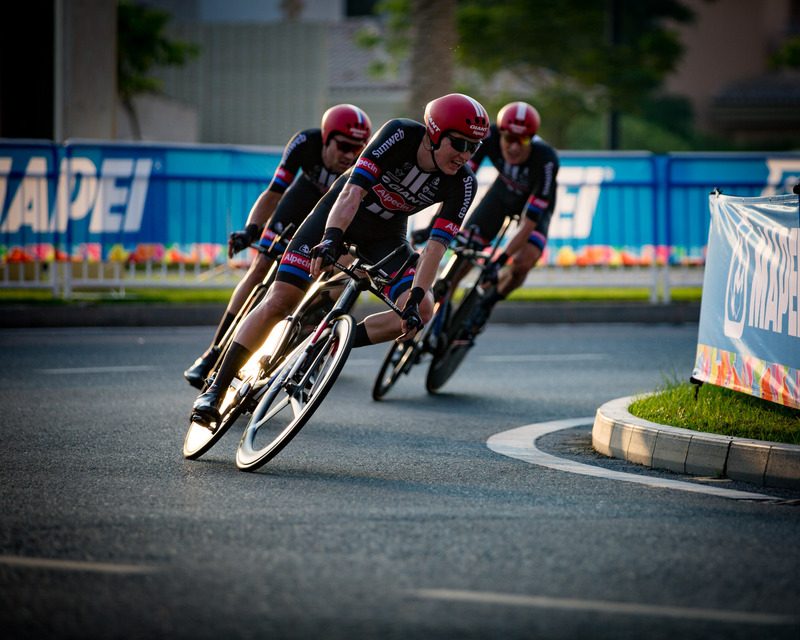 Although they posted the fastest time at the first time check, Canyon-SRAM finish 48 seconds down to take the silver medal. 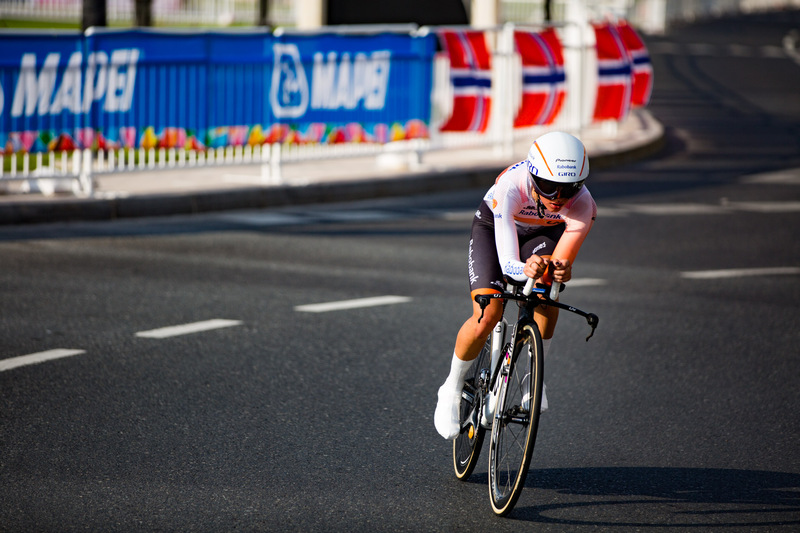 Cervelo Bigla Pro Cycling Team rounded out the elite women’s TTT podium in third, 1:56 off Boels Dolmans’ performance. 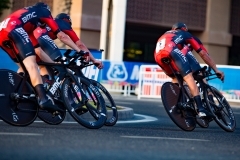 In the elite men’s team time trial, BMC Racing, featuring American rider Taylor Phinney, started last as the defending champs. 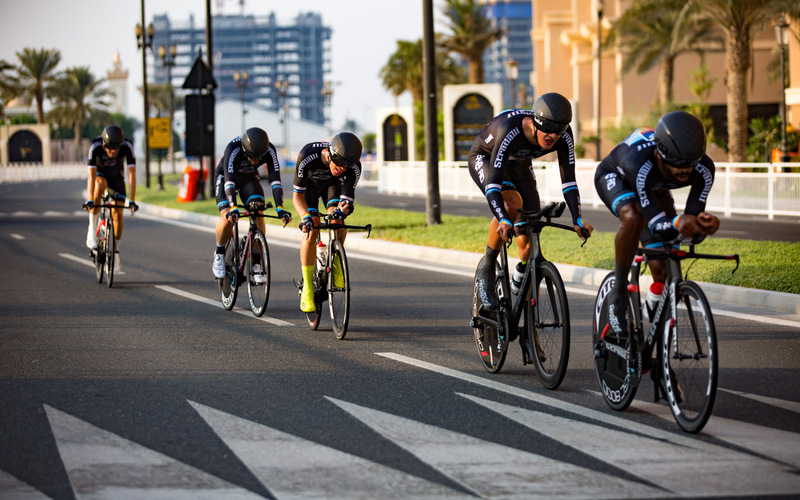 But they would have to fight to the finish in an attempt to match the blistering pace set by Tony Martin’s Etixx-Quick Step squad. 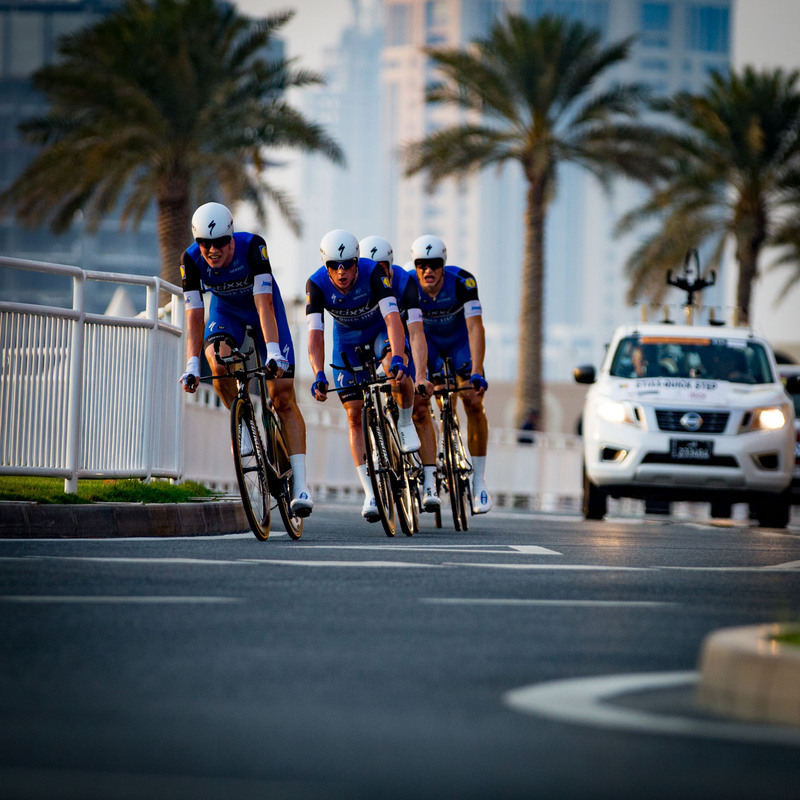 After the dust settled, Etixx-Quick Step took the world title with a time of 42:32 over the 40km course. 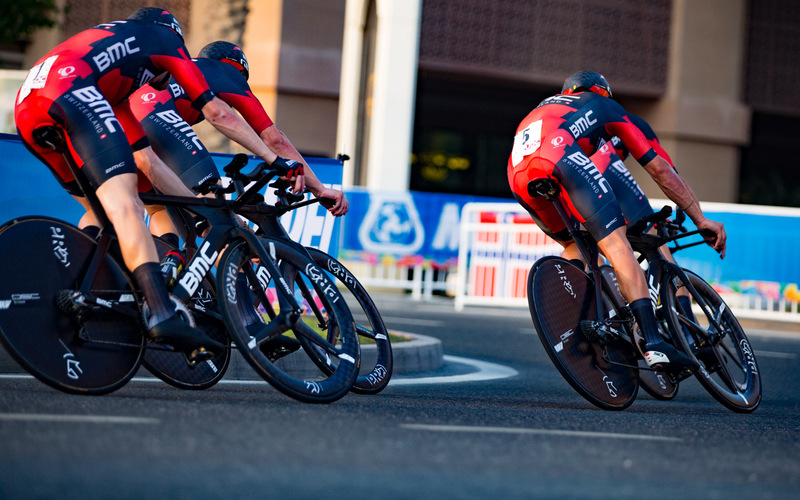 BMC Racing took second, only 12 seconds back. 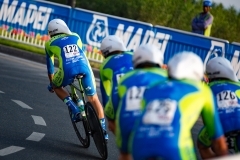 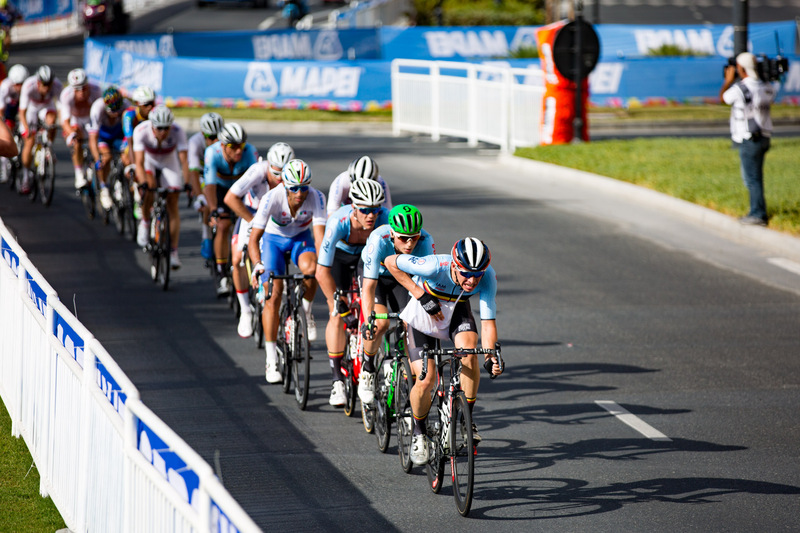 Orica-Bike Exchange took third, 37 seconds back. 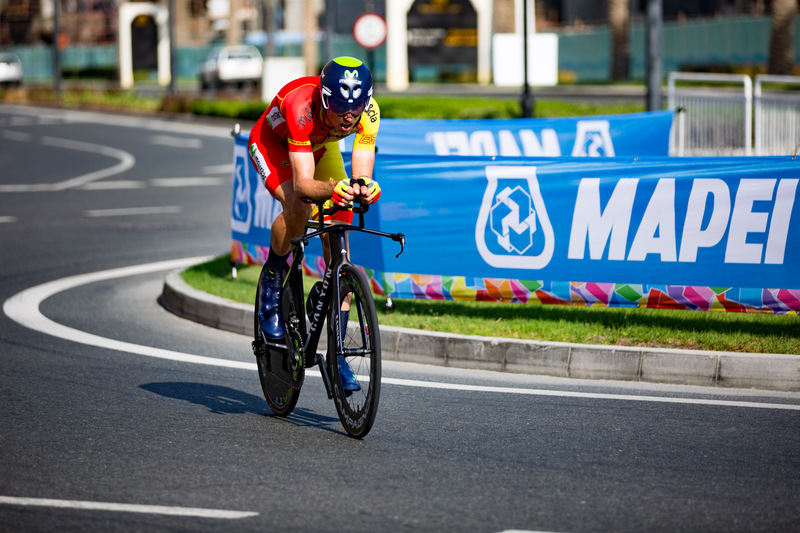 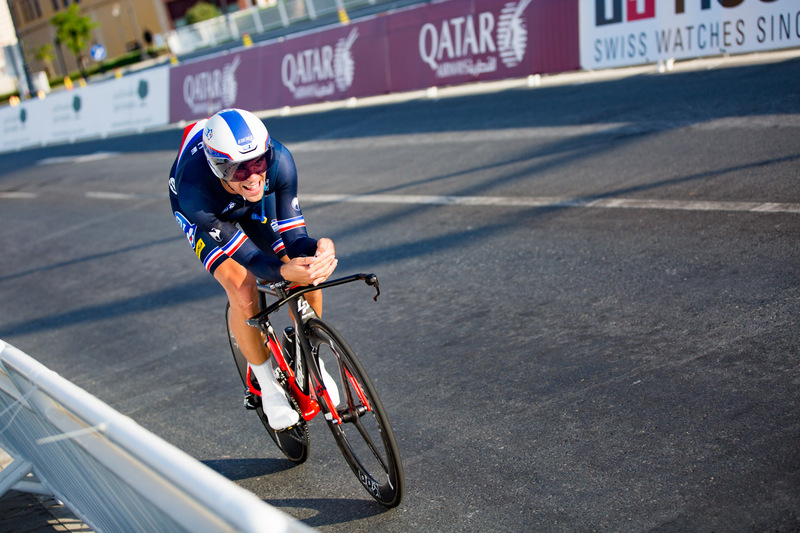 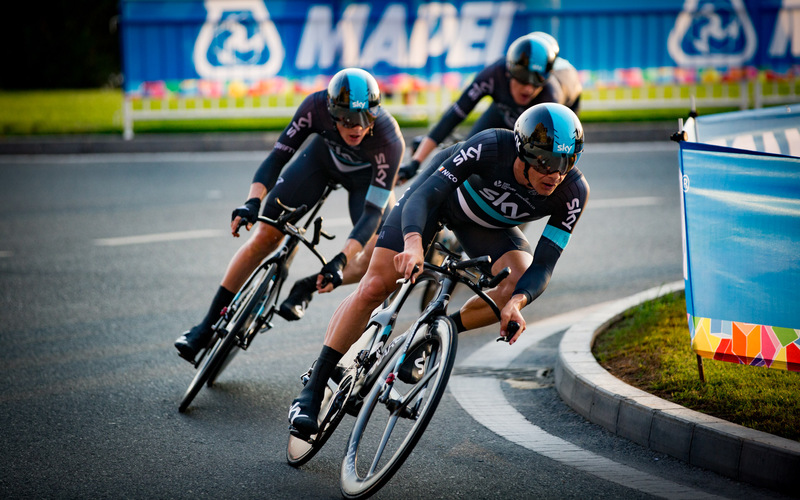 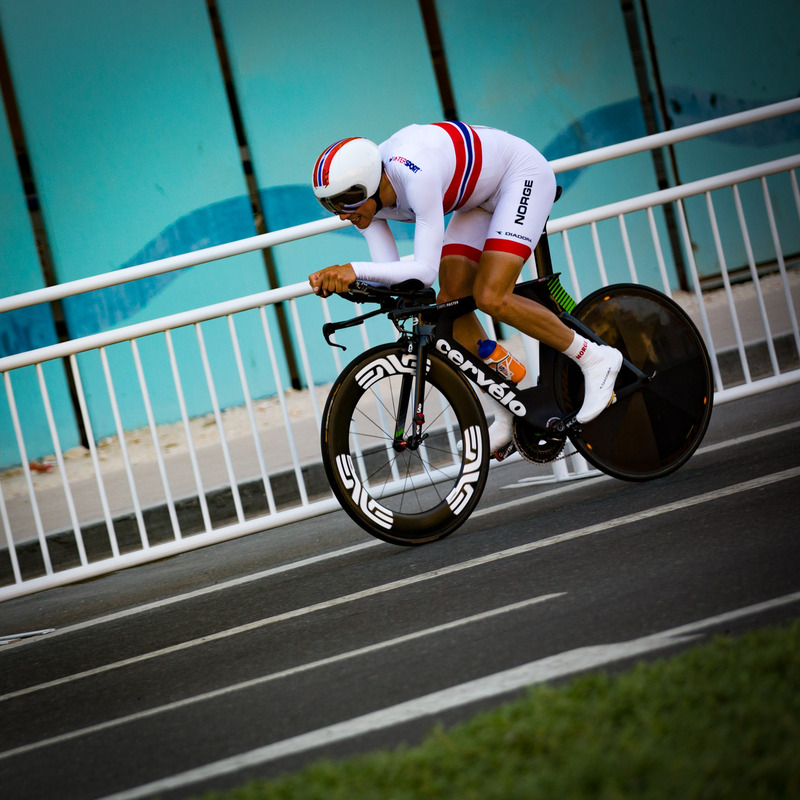 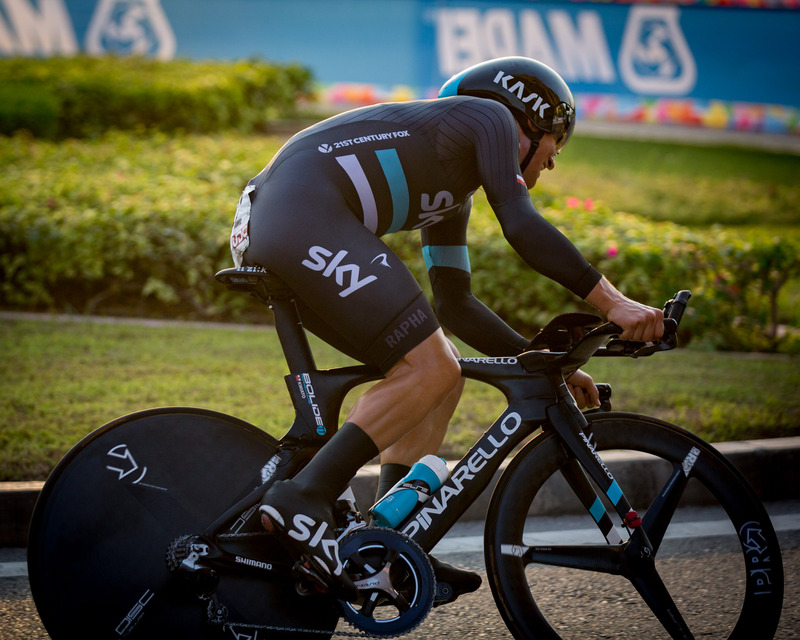 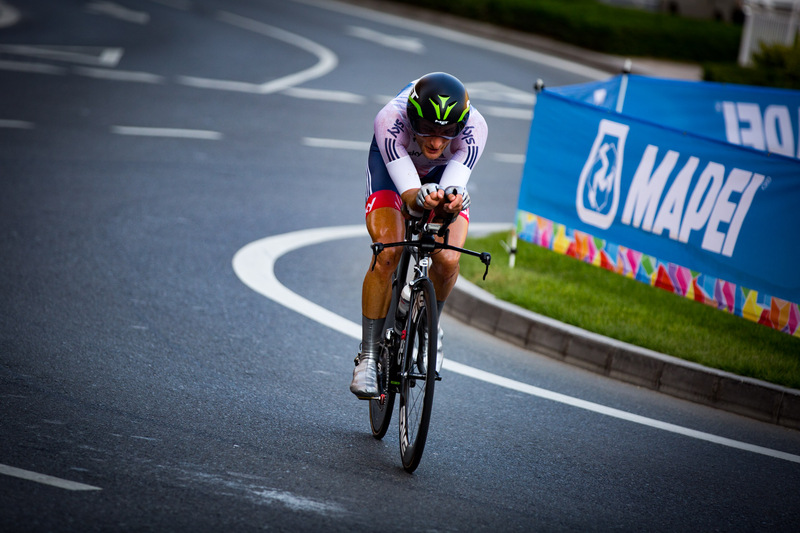 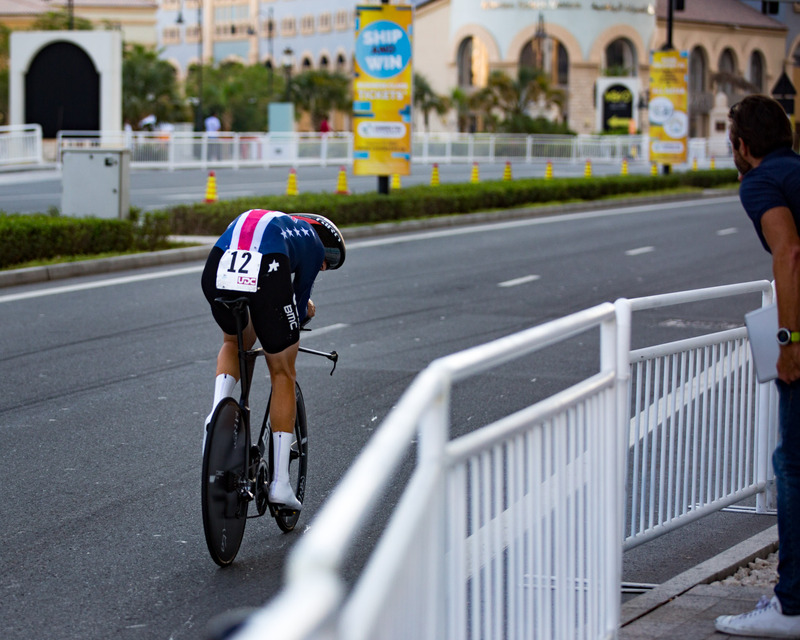 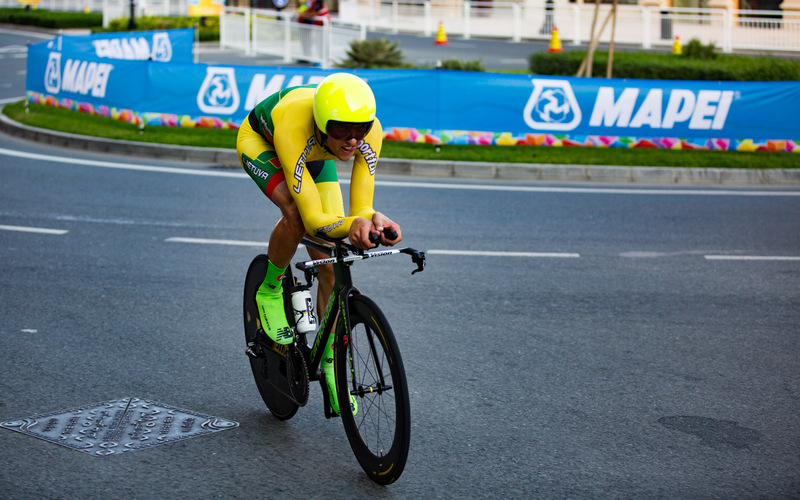 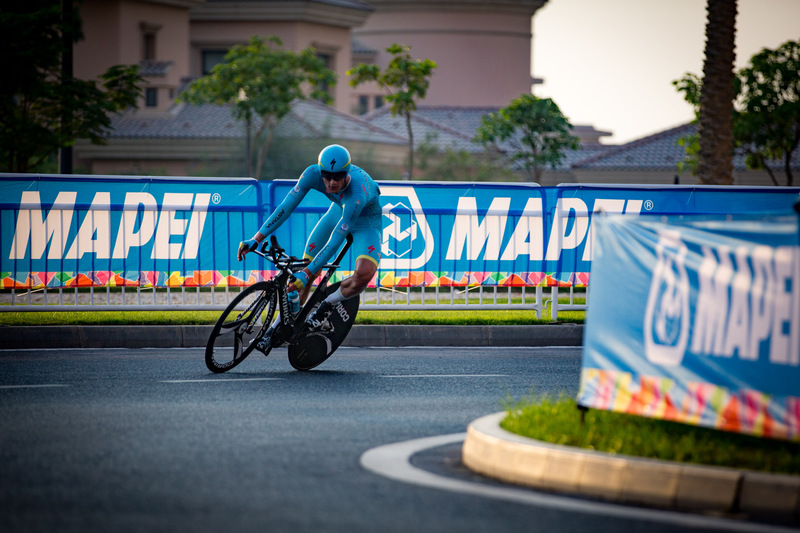 On Wednesday, October 12, the men returned to the TT course to determine the individual TT world champion. 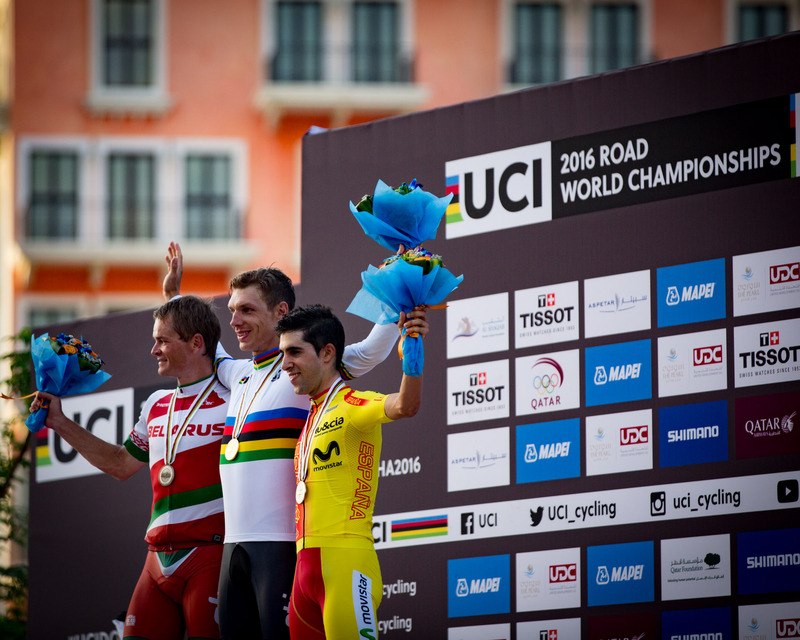 Adding to the gold medal he claimed only a few days earlier in the team TT, Tony Martin once again returned to the top of the podium to celebrate his fourth world individual TT title. 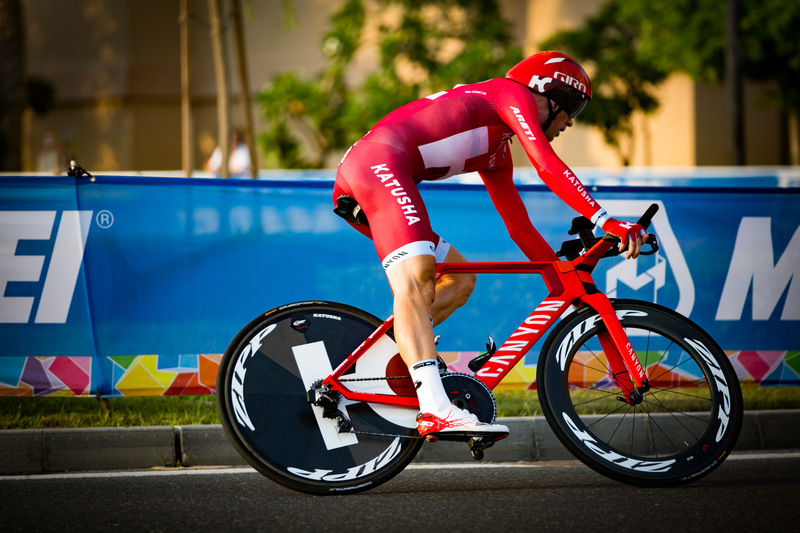 The German rider, who previously claimed gold in 2011, 2012 and 2013, posted a time of 44:42. 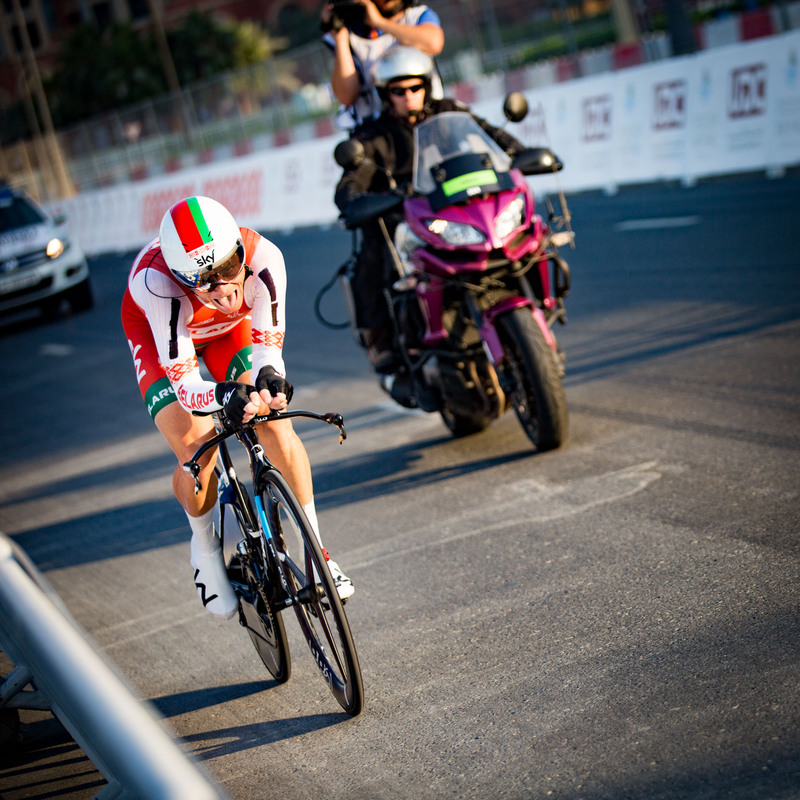 Vasil Kiryienka of Belarus took silver, 45 seconds back. 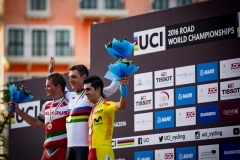 Spanish rider Jonathan Castroviejo Nicolas claimed bronze, 1:09 back. 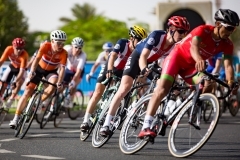 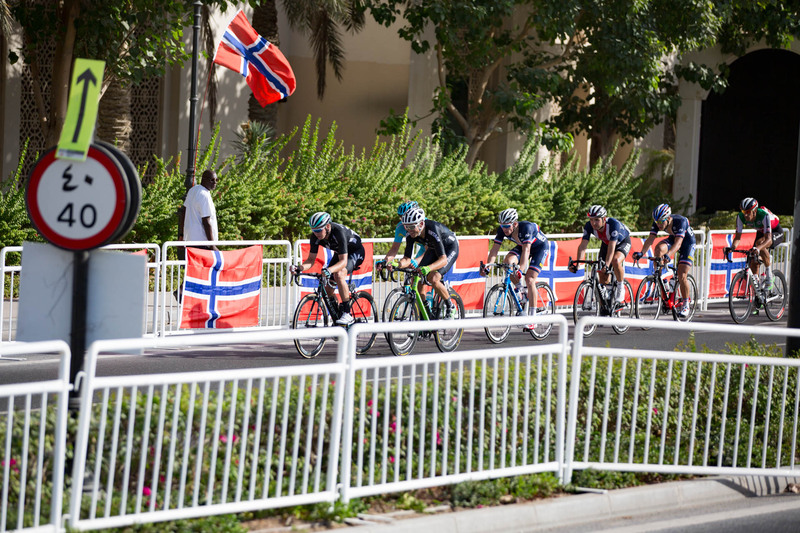 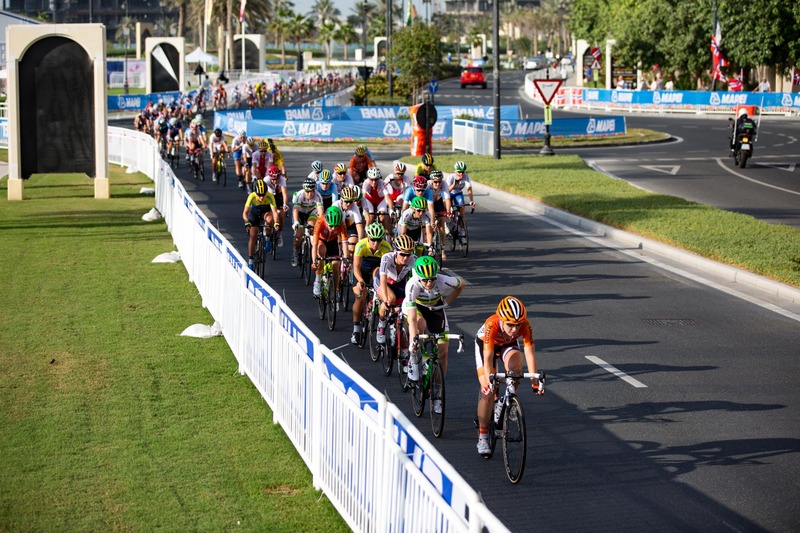 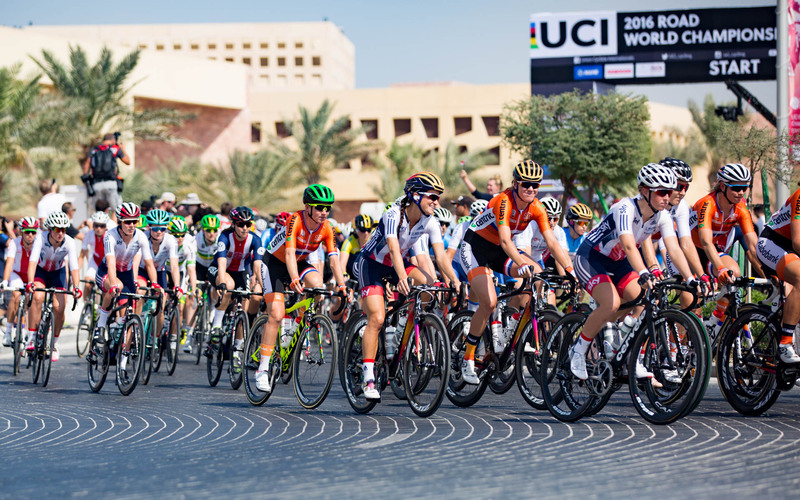 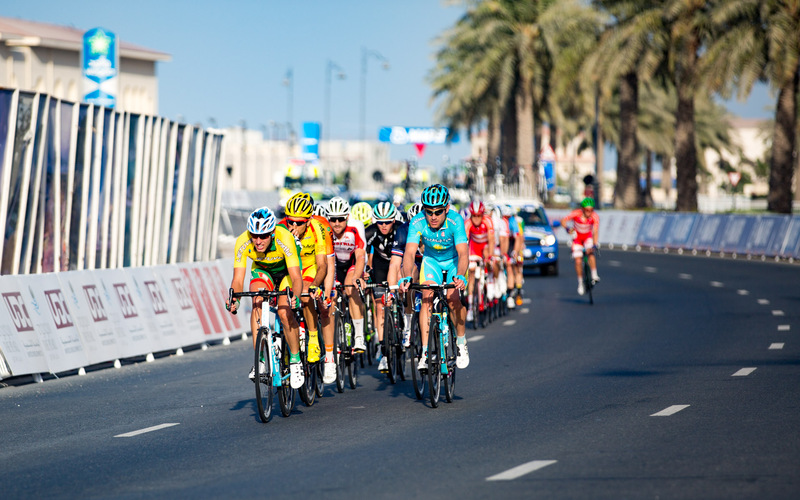 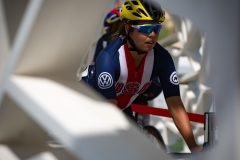 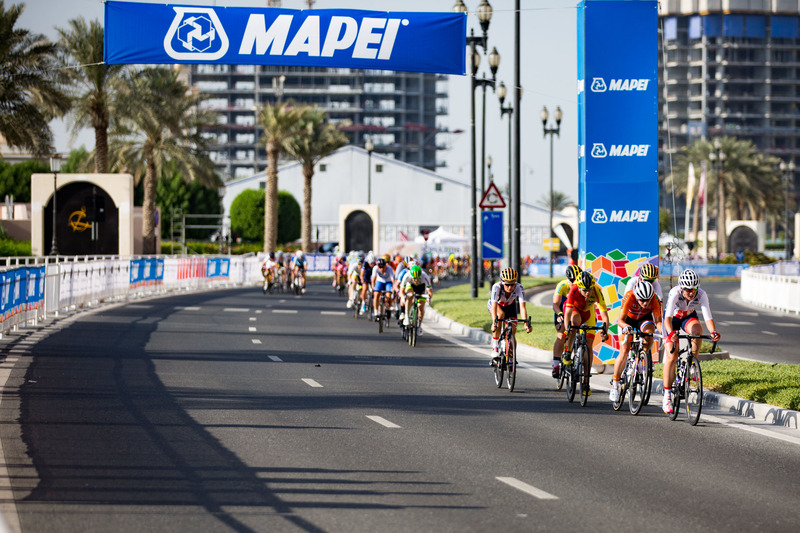 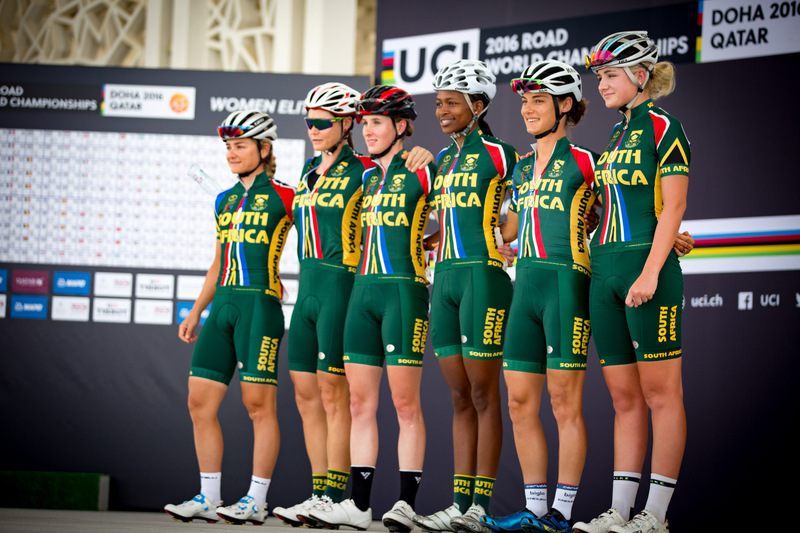 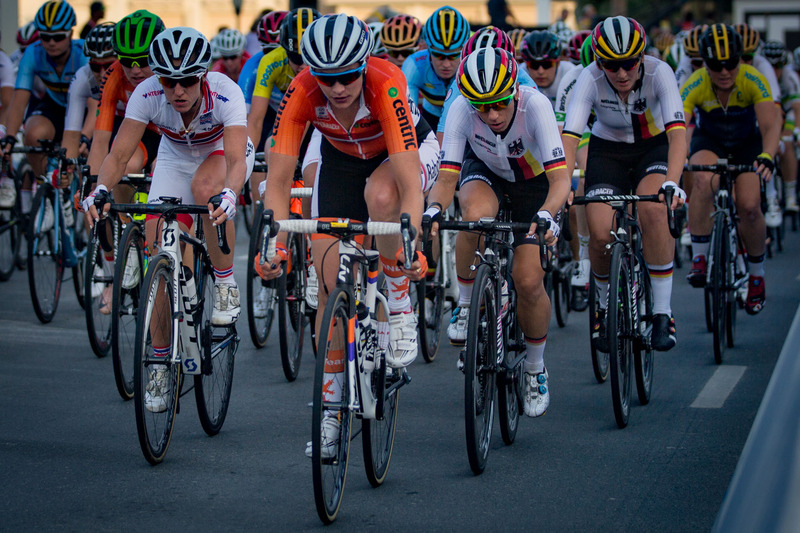 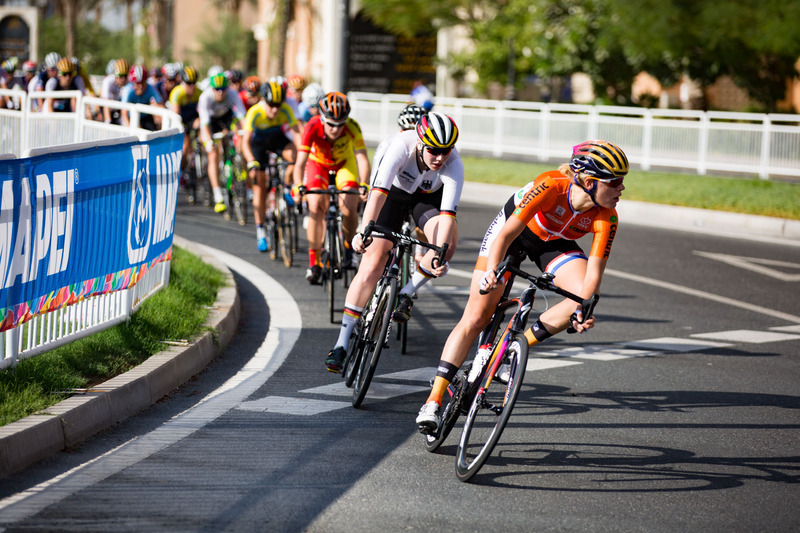 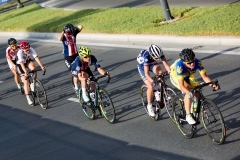 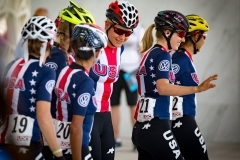 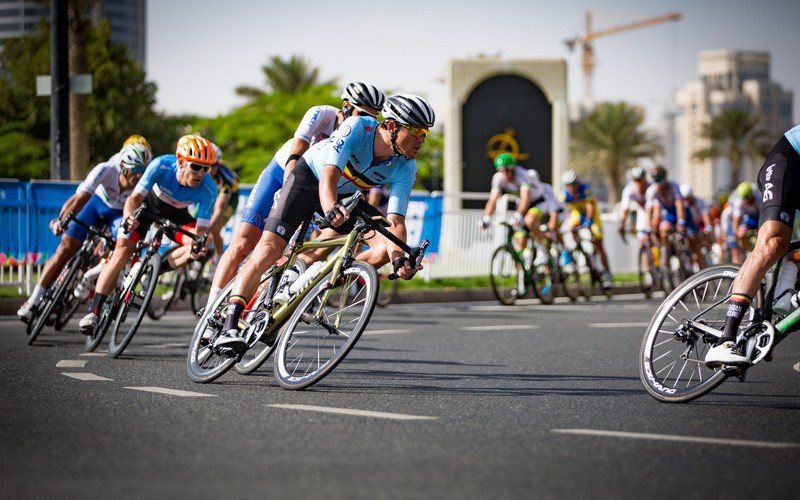 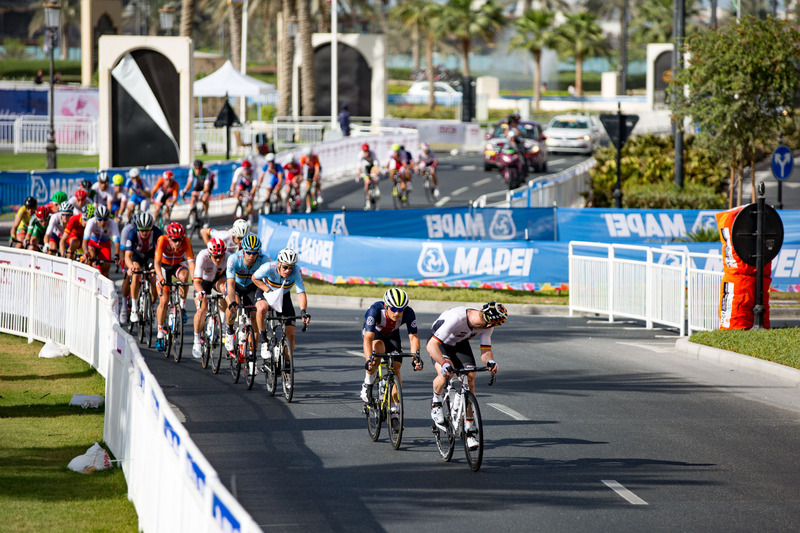 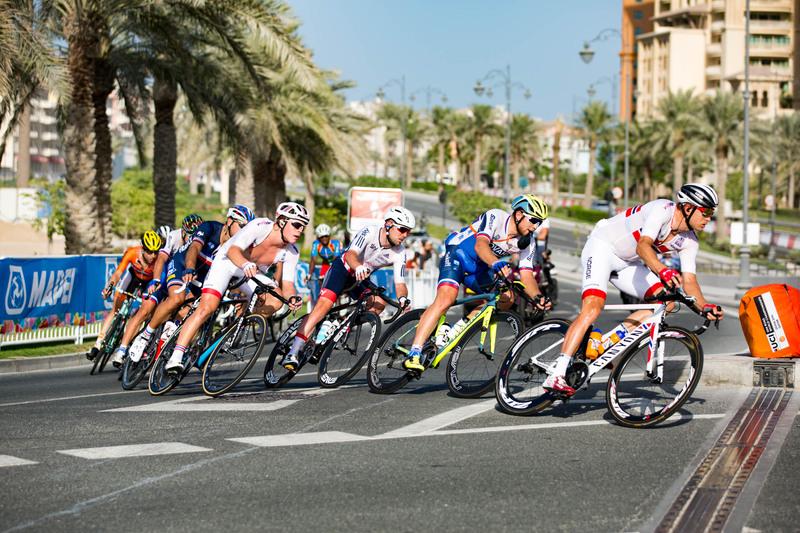 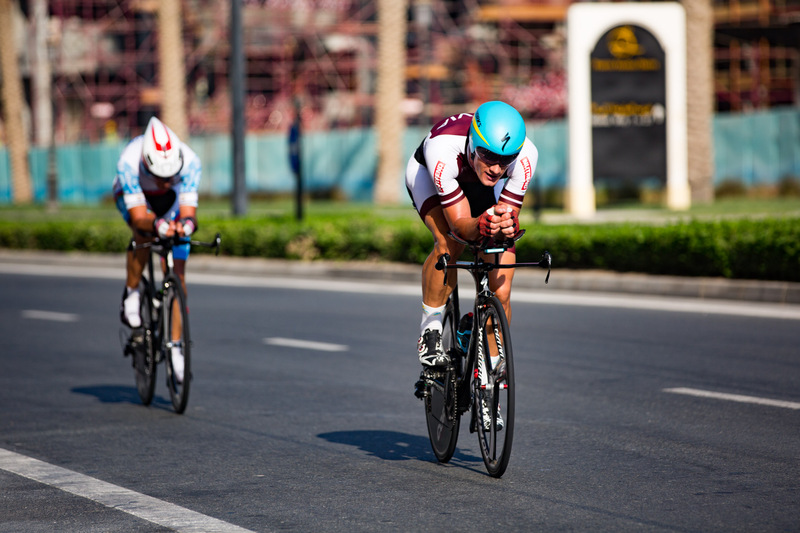 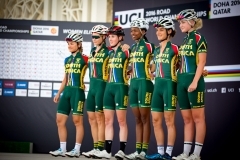 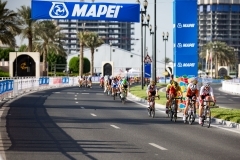 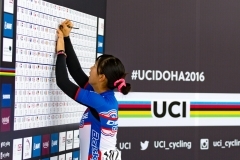 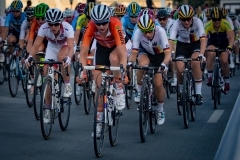 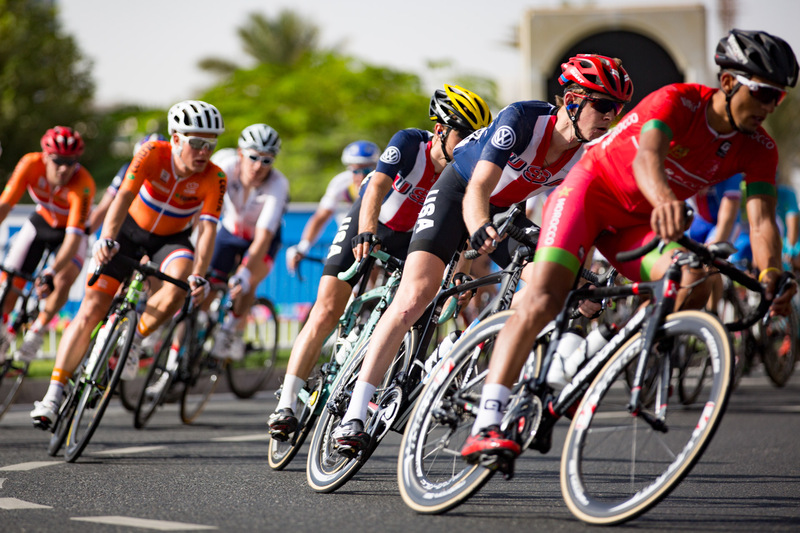 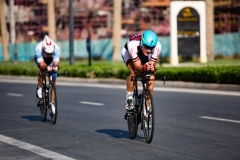 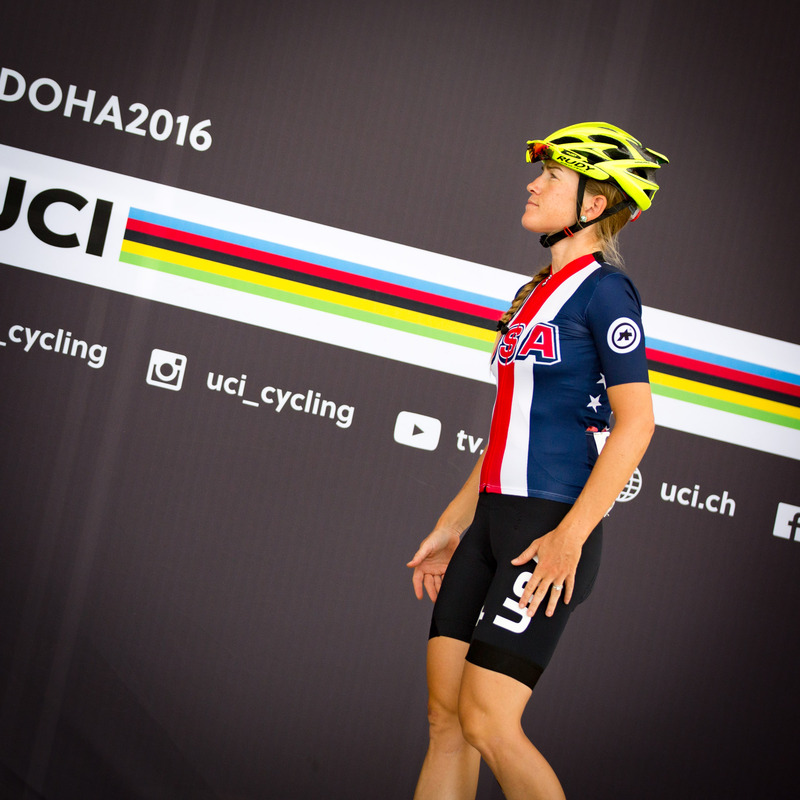 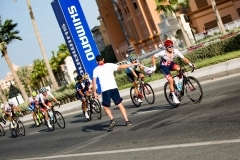 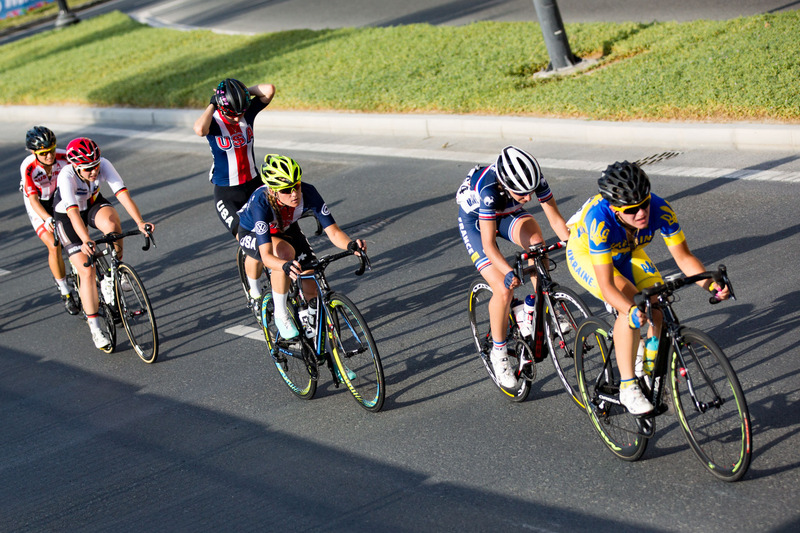 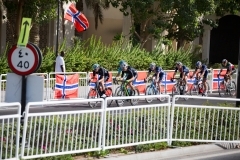 On Saturday, October 15, the elite women’s road race began with a circuit around the Education City campus west of downtown Doha. 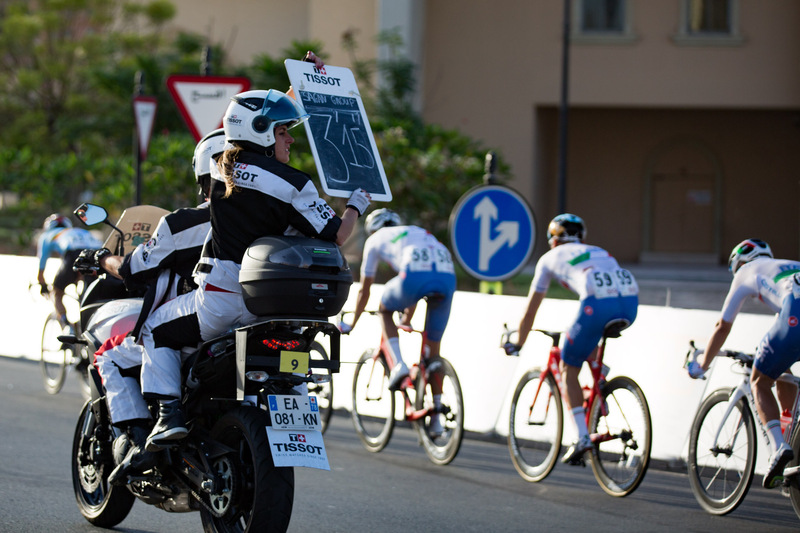 With heat once again a factor, many riders donned ice vests in an attempt to stay cool as the race got underway. 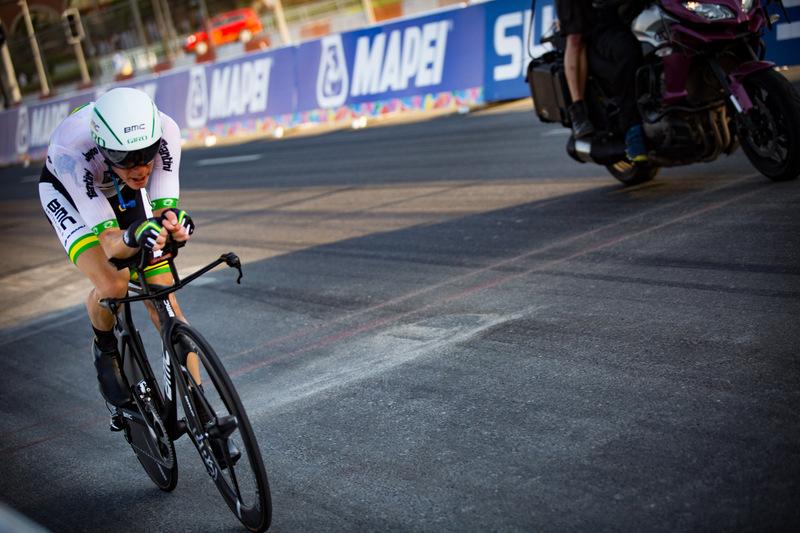 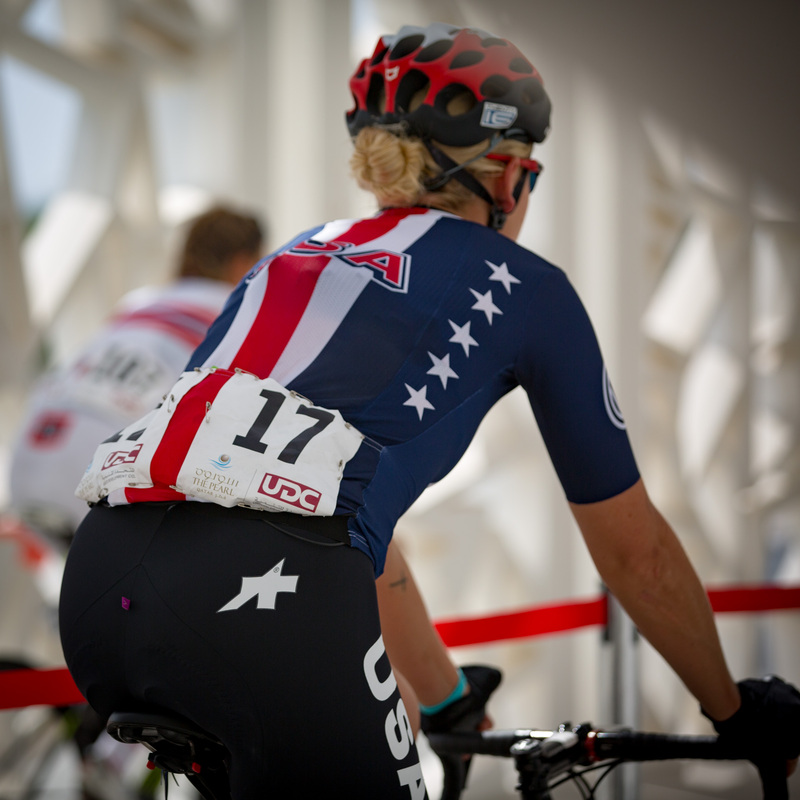 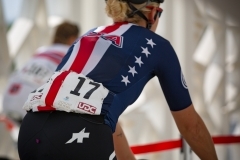 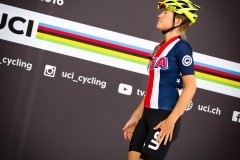 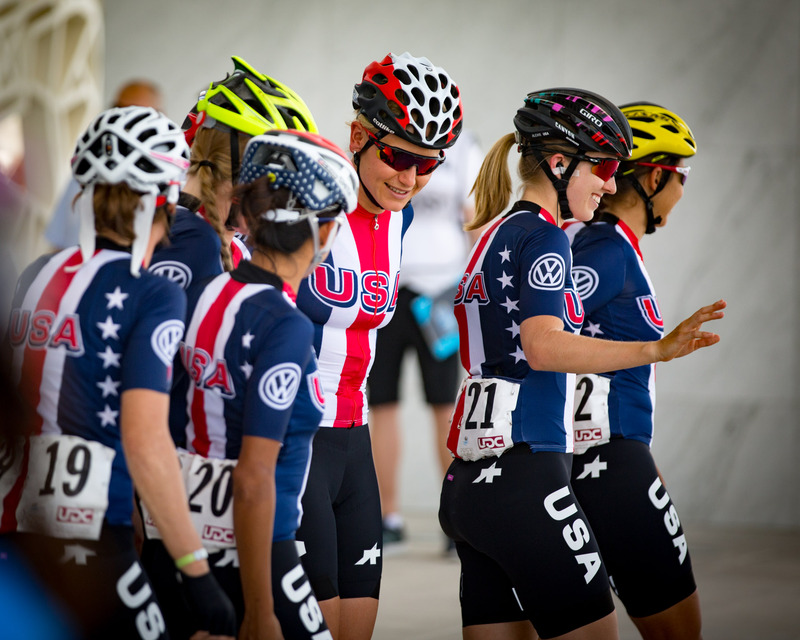 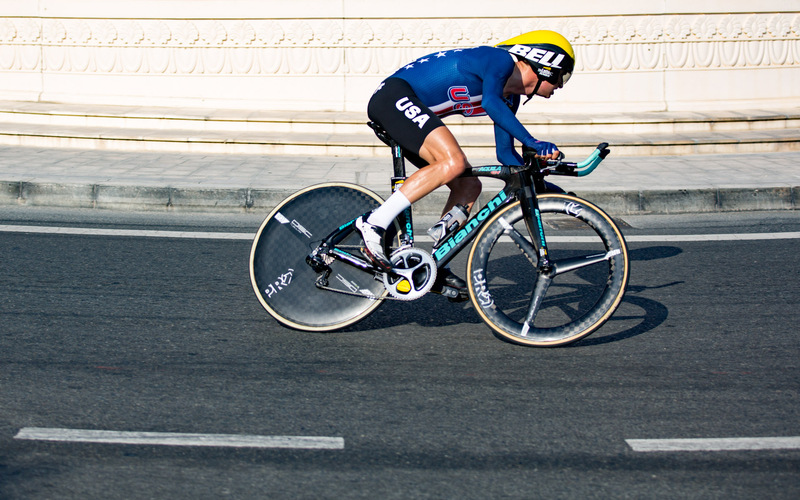 American rider Amber Neben, who only a few days earlier had won the elite women’s individual TT world championship, attempted to break away not once, but twice. 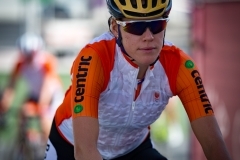 Her second attempt came with 43km to go and the peloton allowed to her gain as much as 50 seconds before the Dutch team organized the chase. 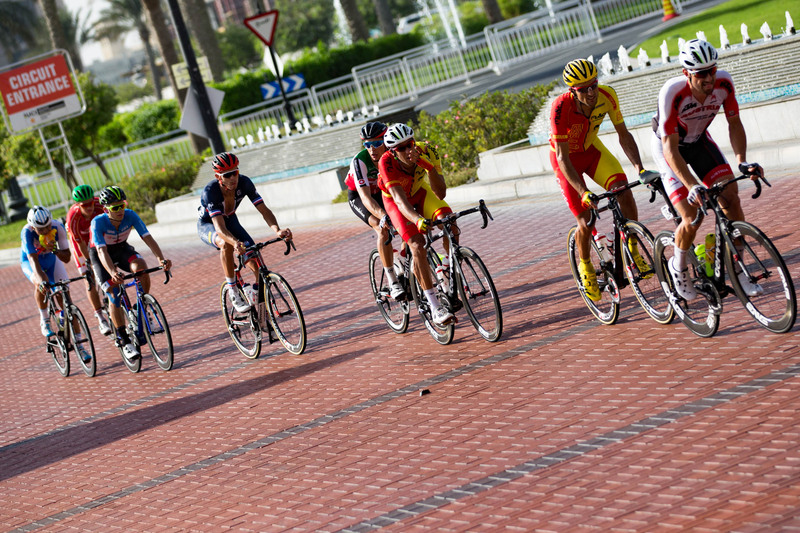 Catching Neben as they began the final 15km circuit of the Pearl, the race would be for the sprinters to contest. 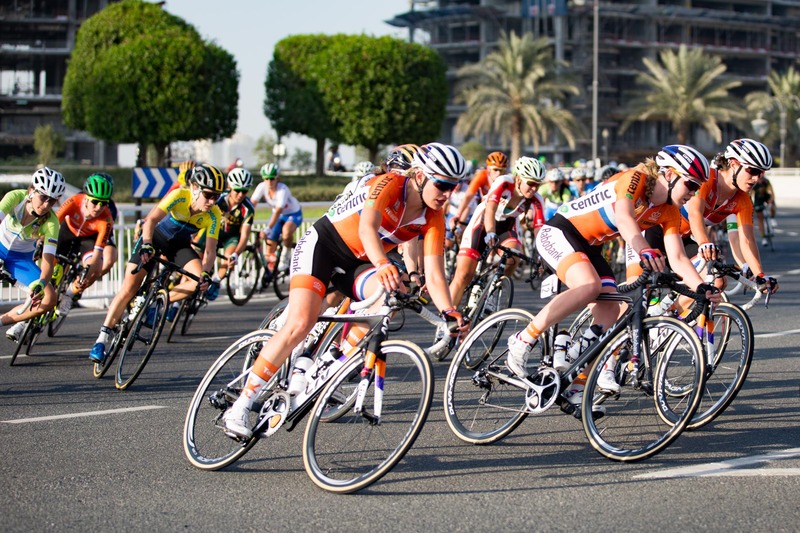 In the final meters, Dutch rider Marianne Vos provided a perfect lead-out for teammate and race favorite, Kirsten Wild. 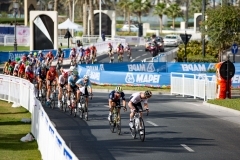 But Wild couldn’t shake Danish rider Amalie Dideriksen, who held her wheel and sprinted past within the final 25 meters. With Dideriksen taking the gold, Wild had to settle for silver, and Lotta Lepisto of Finland claimed bronze to round out the podium. 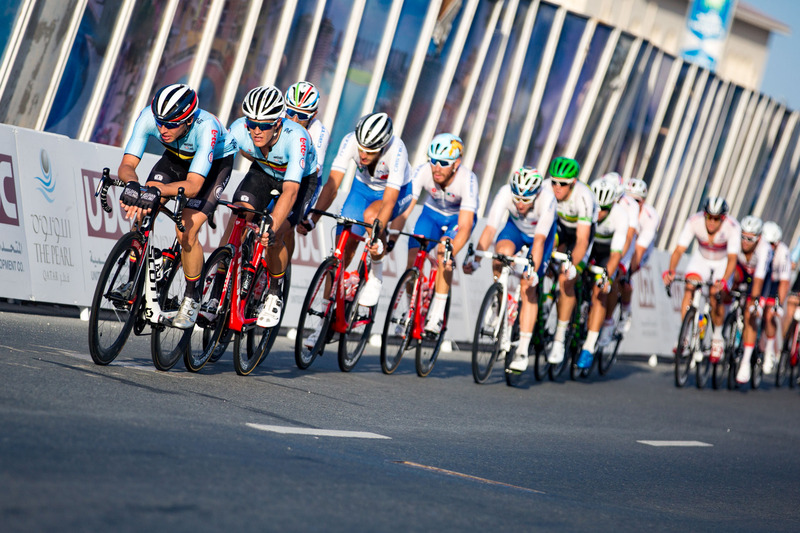 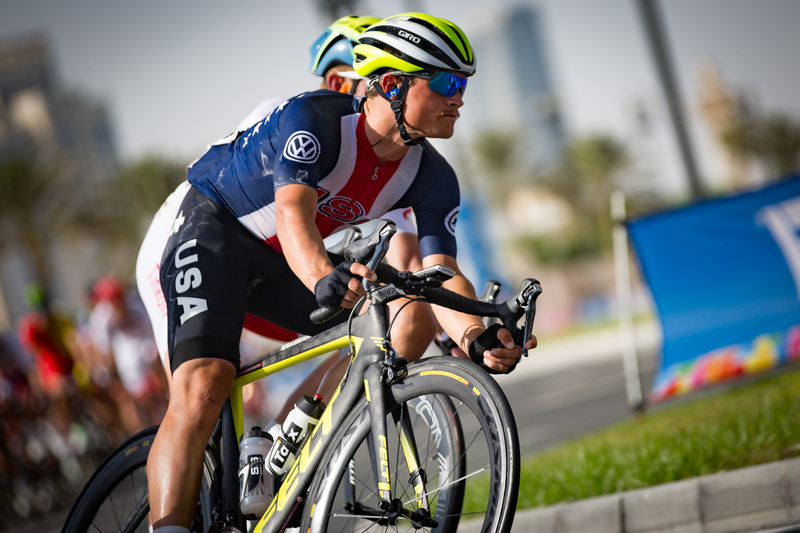 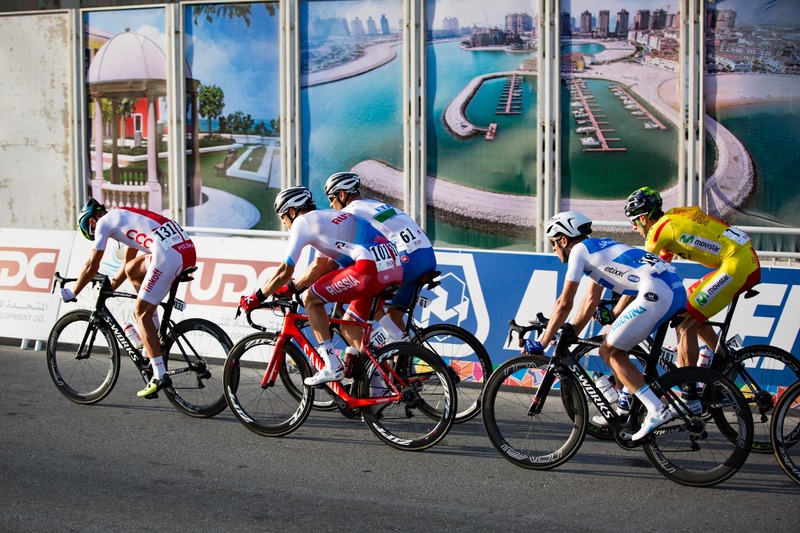 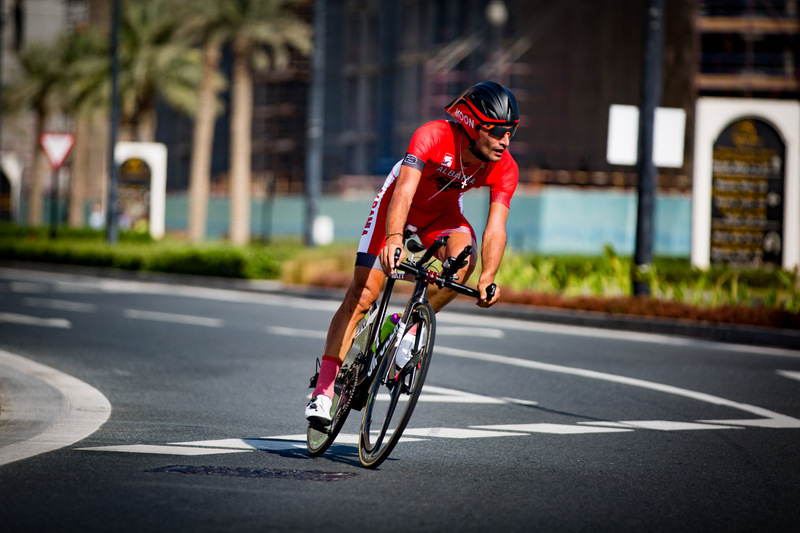 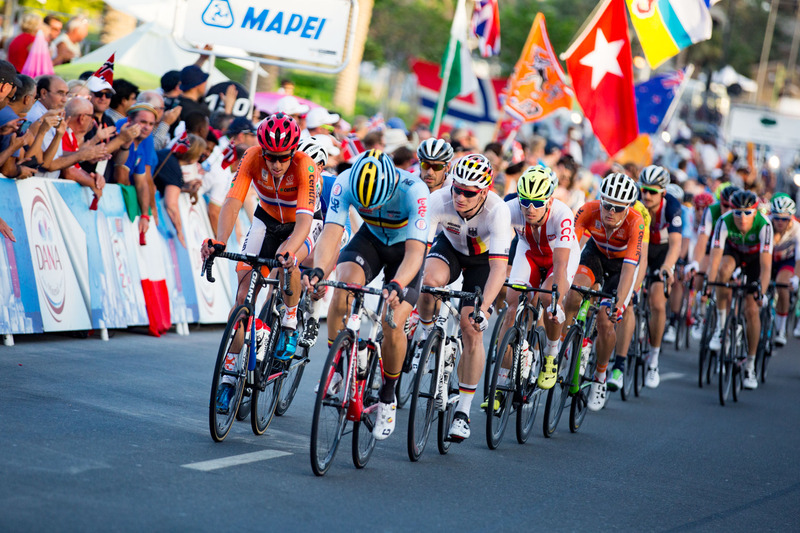 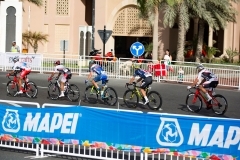 On the final day of racing on Sunday, October 16, the elite men’s road race began at the Aspire Zone before finishing with seven laps of the 15km circuit around the Pearl. 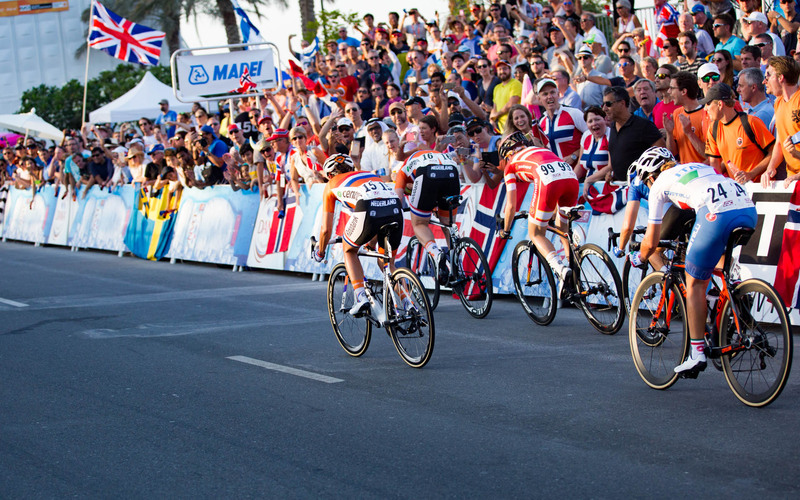 As expected, it would be a race for the sprinters. 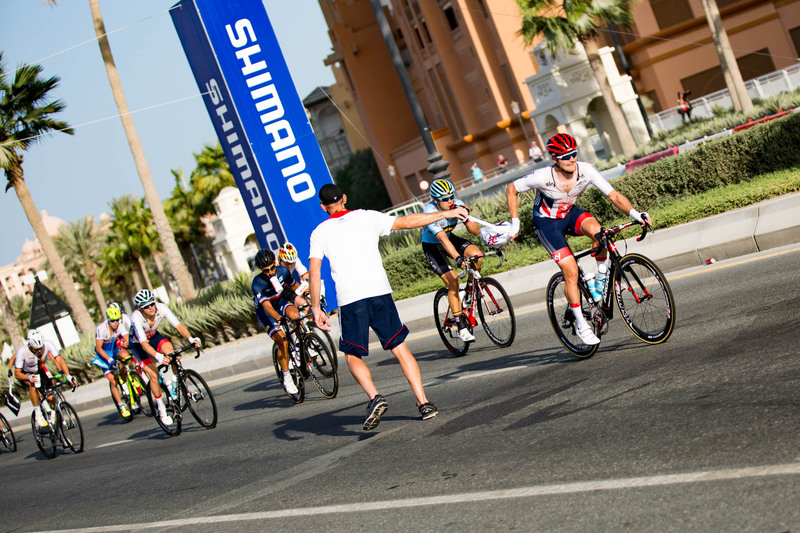 But first they would have to withstand the heat and wind, which took a toll on much of the peloton. 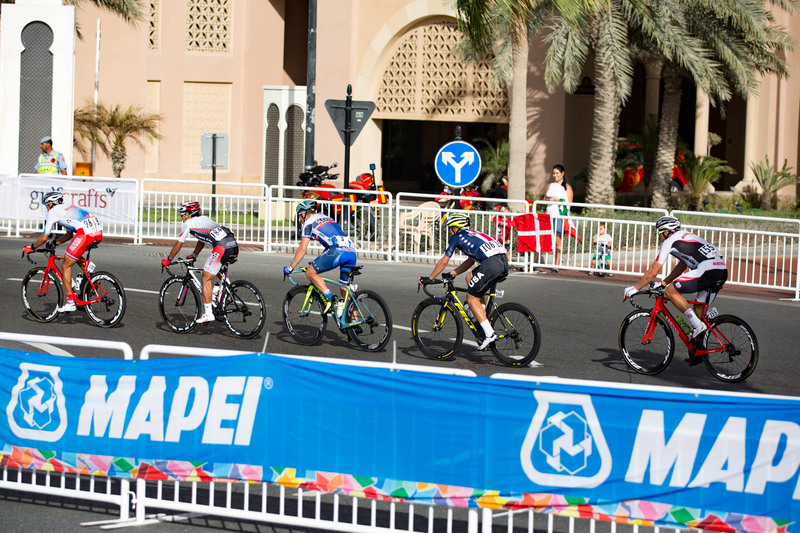 With two laps to go, the big name sprinters were well-positioned in a lead group of 25 riders with a 3:15 gap on the chase group. 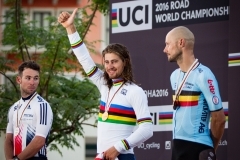 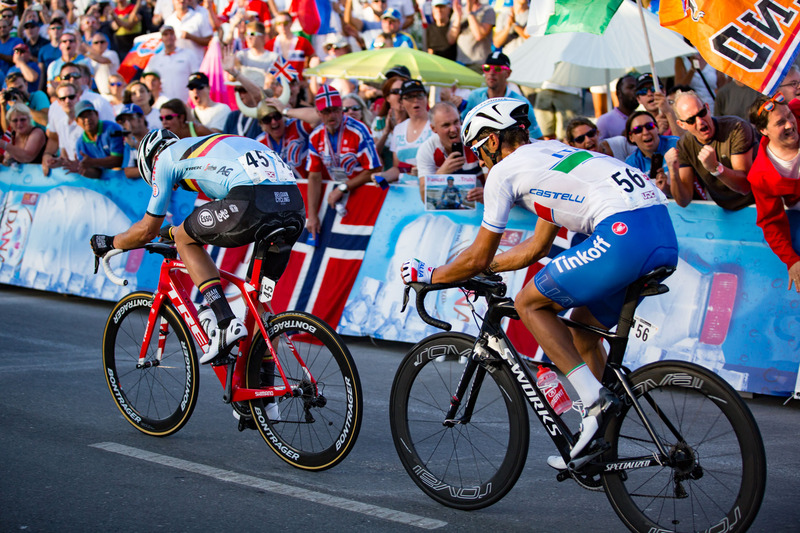 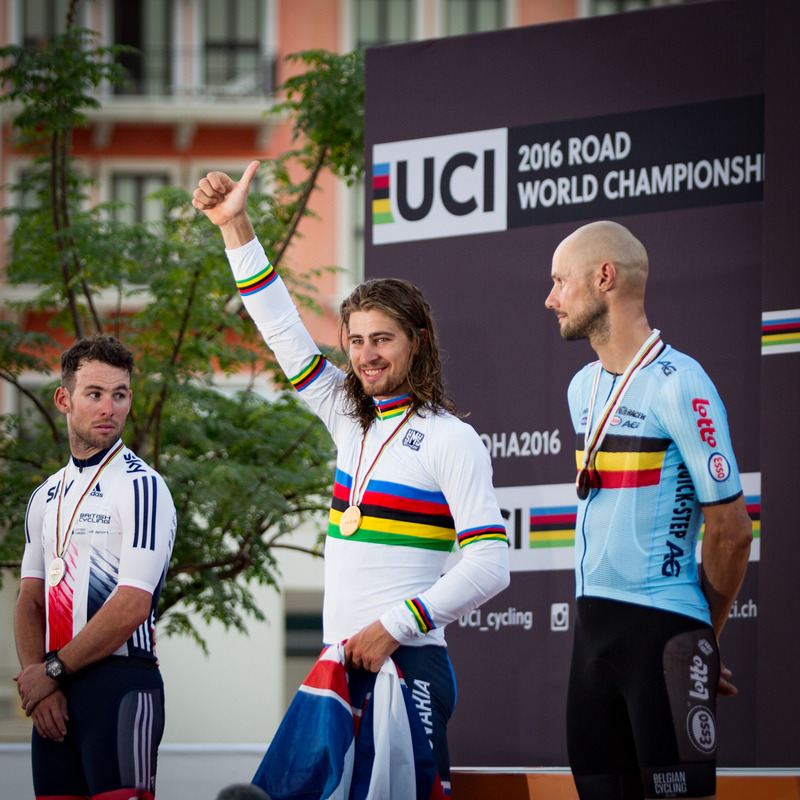 In the final sprint, defending world champion Peter Sagan of Slovakia outsprinted Mark Cavendish of Great Britain (silver) and Tom Boonen of Belgium (bronze) to once again claim the gold. 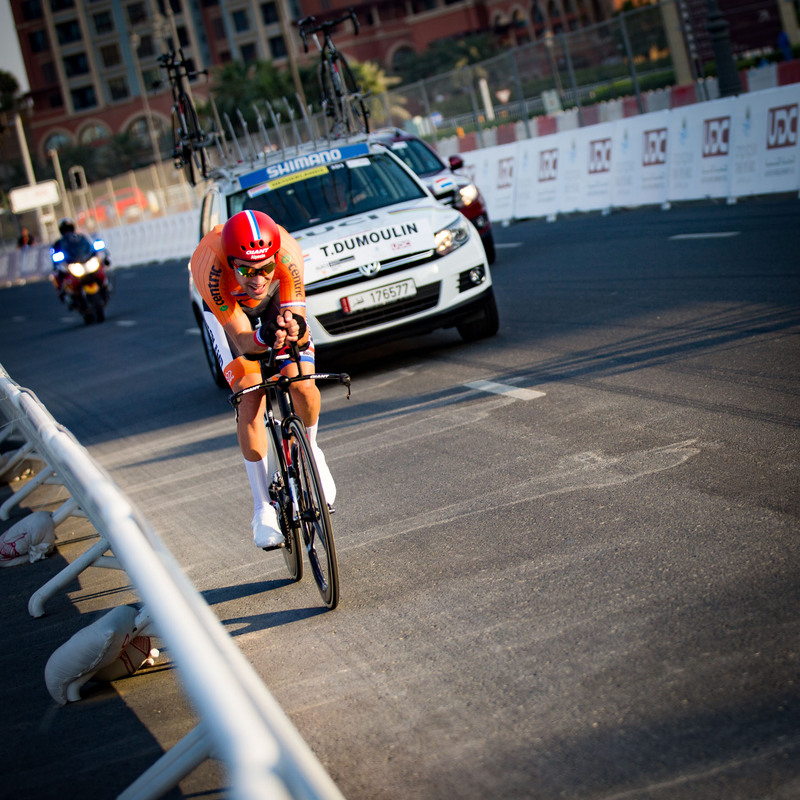 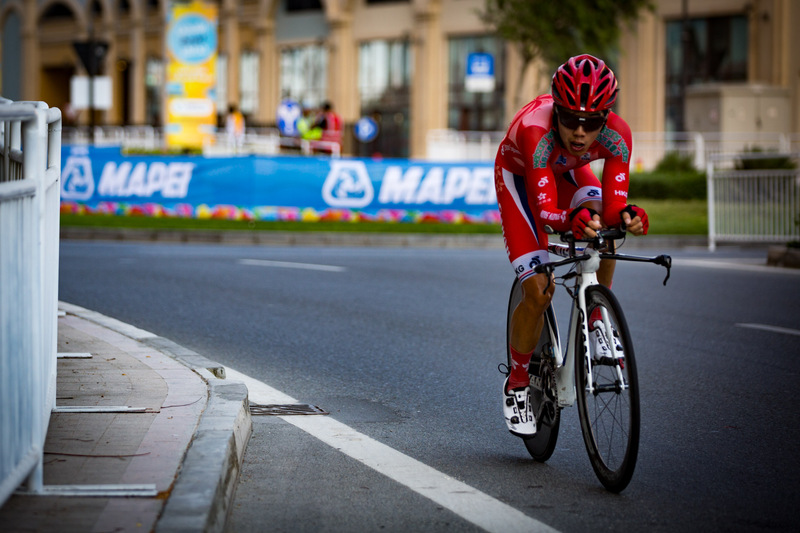 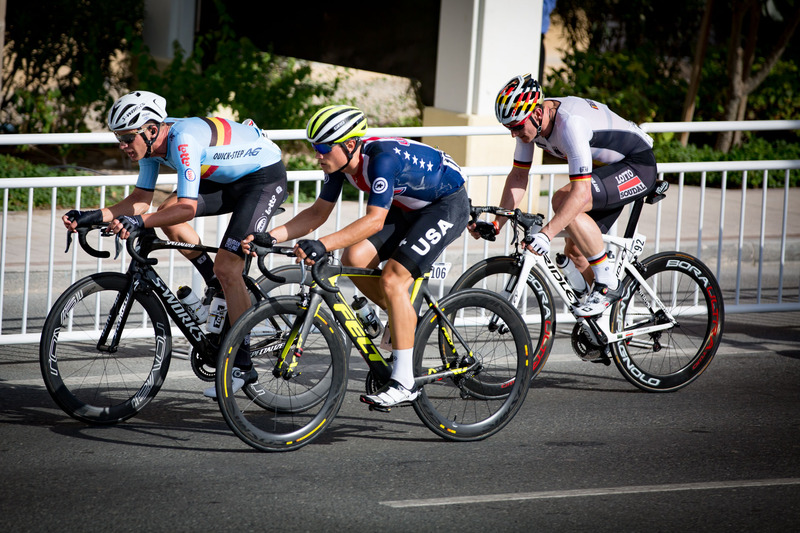 This entry was posted in Photos, Sports and tagged Arabian Gulf, cycling, Qatar, UCI Road World Championships.